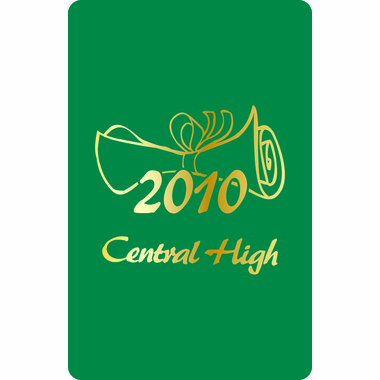 These personalized graduation playing cards make terrific graduation favors - friends and family will use them over and over again and think of you when doing so. If you have a custom design please send us the image at info@cool-party-favors.com and for an added cost of only $25 which does includes ONE proof change, we'll create a very special deck of playing cards - just for you and your guests. These decks are made from premium cardstock and are durable and long-lasting. 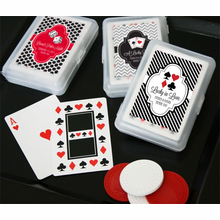 Each deck is attractively packaged in a white, window box that displays the design and inscription. 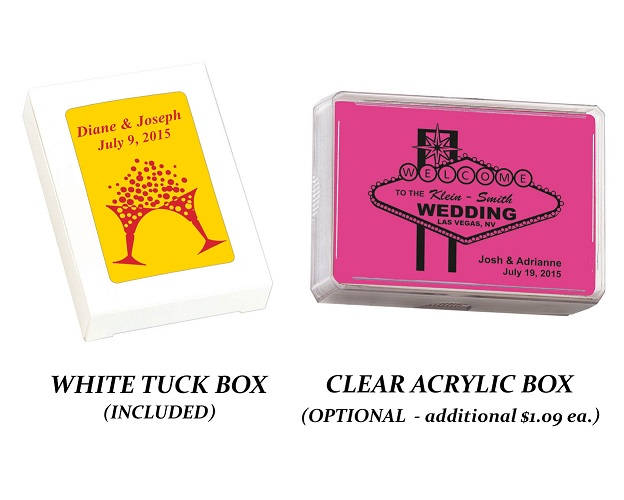 Another packaging option is a clear hard plastic box which costs an additional $1.09 per deck. 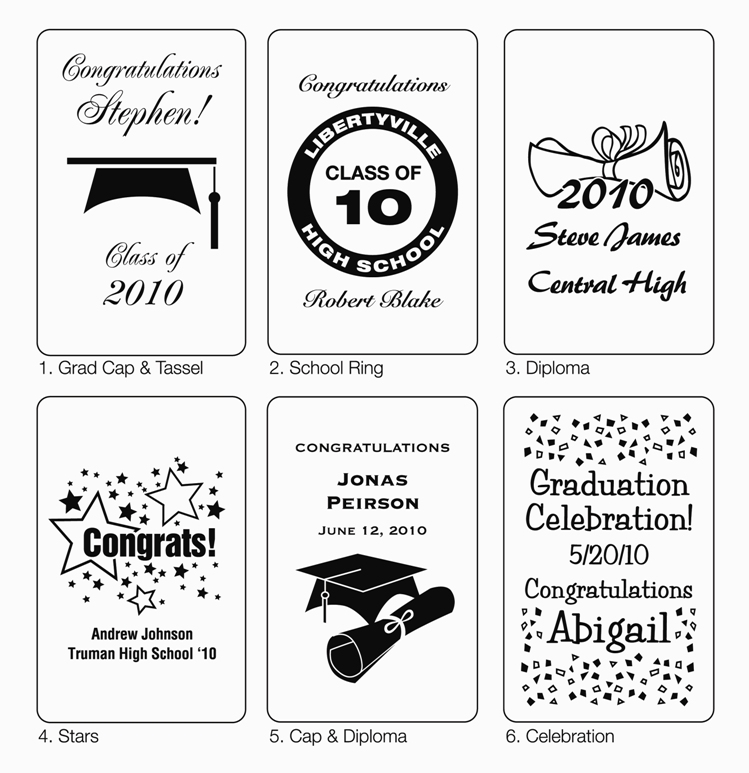 Card Size - 2 1/2" x 3 1/2"
When looking at the individual designs, please note the each line of personalization starts from the top. Although card stock colors are very close approximations of the actual background color, there may be slight color variations with your order. 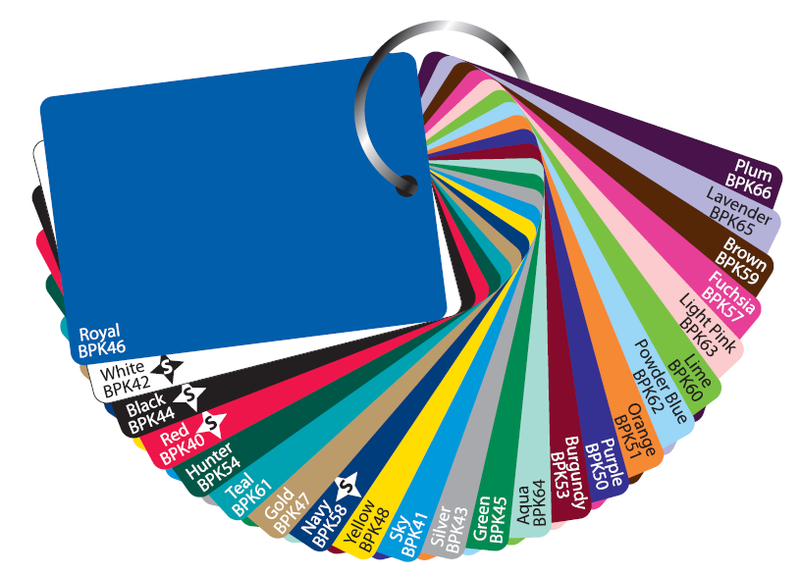 So please don't hesitate to ask us for a sample(s) of the card colors you are interested in. There is NO cost for this service. 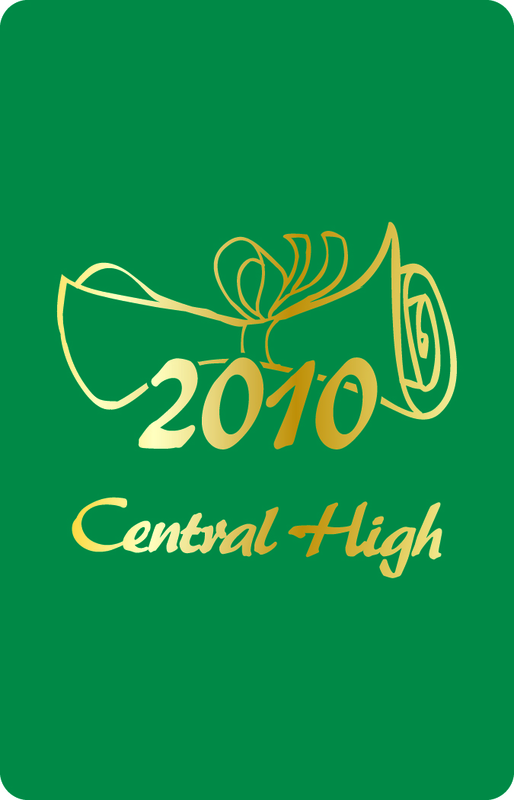 Just send us your request at info@cool-party-favors.com . Please include your name, address, and color preference(s). 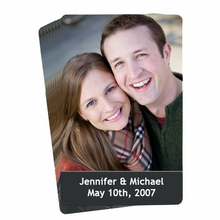 * Personalization Plate Fee - All orders are charged a $20 fee to cover the metal plate the card manufacturer creates to stamp each individual card.